A portfolio of income and growth assets helps you earn enough to beat inflation. Investing the money you saved for retirement is important, but choosing the right investments is critical to preserving your funds. Many retirees rebalance their investment portfolios to focus more on conservative investments. Lower price volatility is a primary reason to invest conservatively during retirement. Investments backed by the federal government, such as Treasury securities, as well as Federal Deposit Insurance Corporation-insured bank assets, such as certificates of deposit (CDs) are some of the safest investments available. Developing a plan of action for investing your retirement funds increases your chances of preserving financial security throughout retirement and having assets to leave to your heirs. Visit banks in person or online to learn about their CD interest rates and other important information about such investments. Deposit your funds once you find a bank with interest rates that meet your approval. Ladder your CD deposits to minimize risks by investing in several CDs with staggered maturity dates. For example, one CD matures in one year, another in two years and another in three years. This way, you'll have at least one CD maturity coming up at any one time if you need money, or interest rates shift dramatically and you want to seek a better investment return. Invest in individual bonds with staggered maturity dates or a bond fund. Bonds provide regular income payments from the interest earned on your principal. Invest in individual bonds if your need a specific income amount and you want to avoid paying capital gains tax. Deposit money in a bond fund if you desire liquidity and the ability to easily diversify your bond holdings. Bonds are not FDIC-insured, but Treasury bonds are guaranteed by the U.S. government. Place money you need in the short term in a money market account, which offers a better interest rate than standard savings accounts. The minimum balance is typically high, and your withdrawals are limited. A money market account is beneficial if you know in advance how much you need to withdraw on a monthly basis. Check the rates on Treasury Inflation-Protected Securities, or TIPS, if you are concerned that inflation rates will threaten your nest egg. 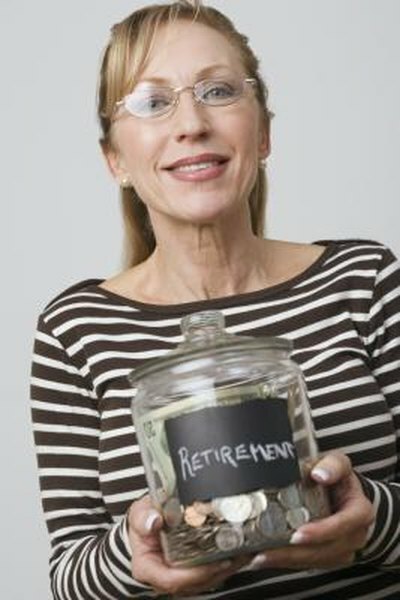 TIPS are bonds issued by the Treasury Department, designed to earn a return that keeps up with the inflation rate. Although unlikely, the value of your TIP can decline if the economy experiences deflation. Reallocate your portfolio to keep only a small percentage of your money in stocks. However, eliminating stocks completely from your portfolio can cause you to miss out on attractive returns. Focus on less-volatile stocks. For example, a stock mutual fund that invests in blue-chip stocks typically experiences less volatility than a mutual fund that invests in small-cap stocks. Placing your money in conservative investments can help you ride out a significant downturn in the market. The FDIC only insures up to $250,000 of your deposit in any insured bank, for each category of investment, including checking and savings accounts, money market accounts and CDs. US News Money: Should Retirees Move Everything to Fixed Income? Schwab: Bonds or Bond Funds for Retirement Income? Can Inflation-Protected Treasuries Be in an IRA?